Creation of this applet was initially inspired by a Twitter conversation among Patrick Honner, Eddie Woo, Chris Bolognese, and Steven Strogatz. Here's the Twitter link. It is a revamped version of this previously created GeoGebra resource. 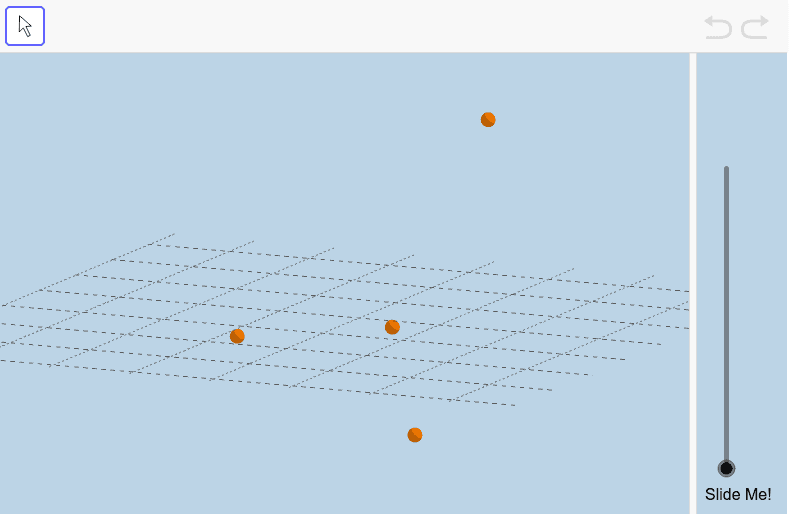 Before playing with the applet below, recall the theorem you've already discovered and proven in class and also illustrated here on this animation﻿. (For a quick, informal investigation of this theorem, refer here.) Notice how on either resource, all 4 vertices of the original quadrilateral were coplanar. But what happens when we have 4 non-coplanar points? Check it out below: Feel free to move the ORANGE VERTICES of this original "quadrilateral" anywhere you'd like! How can we formally prove what is dynamically illustrated here? To explore in Augmented Reality, see the directions below the applet. 1) Open up GeoGebra 3D app on your device. 4) Go to the MENU (horizontal bars) in the upper left corner. Select OPEN. In the Search GeoGebra Resources input box, type ﻿﻿dvubftbr (Note this is the resource ID = last 8 digits of the URL for this resource.) 5) In the resource that uploads, zoom in/out if needed. ﻿ The animate slider controls the animation. Note how 3 of the vertices coordinates (a, b, c), (d, o, w), and (t, u, v). Each of these coordinates has a slider so you can dynamically change its value when exploring this resource in Augmented Reality.